Successful criminals stay ahead of law enforcement and regulation. They operate on the fringes of technological innovation and take advantage of people who are still learning. Therefore, as with any new technology, there are risks associated with cryptocurrencies. We want you to understand the risks and ensure that you have the tools to protect yourself and your money. Owning cryptocurrency makes you a more attractive target for cybercrime. Luno will keep your Bitcoin safe. But only you can keep your passwords safe. 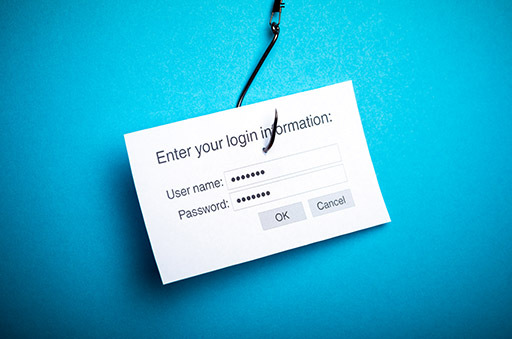 ‘Phishing’ is an attack whereby criminals use legitimate-looking fake websites to trick you into entering your password / details. They then use your password to access your account. Phishing websites. Attackers create fake versions of websites to try and get you to enter login details. Beware of clicking through from fake Google ads. Before entering any details check the website address carefully to make sure you are at the correct URL. Email phishing. Attackers will send legitimate-looking emails in an attempt to convince you to share login details. Check the sender email and make sure the website to which you are directed has the correct address. Spearphishing. Attackers try to gain information about a specific individual. If they know you have cryptocurrency, attackers may even impersonate cryptocurrency company employees to gain your trust. These impersonators may contact you by phone or email. You might think you’ll spot traps and avoid them. But ask yourself, are you 100% confident in every link you’ve ever clicked? Are you willing to bet all your Bitcoin or Ethereum on that? These are steps you should take to be safe. Because the cryptocurrency space is relatively young, there are investment scams trying to part you from your money. Scams come in all shapes and sizes but with a little practise, you can easily spot and avoid them. 99% of cloud mining operations are suspicious. Legitimate Bitcoin miners will tell you that the profit margins on mining are razor thin. There is nobody out there mining Bitcoin, making 10%, 20%, 30% per month as these scams are promising. Avoid these at all costs. If the company is punting its referral programme harder than its product, it’s probably a scam. Chances are, they’re paying existing investors with new investors’ deposits. Eventually the music stops and they disappear, leaving everybody out of pocket, and only then do victims realise they actually have no idea to whom they sent their money. These scams convince you that they have found a special or secret method to making incredible returns. Whether its trading on your behalf, or exploiting technical aspects of cryptocurrency. In reality, they haven’t found anything - if they had, they wouldn’t need your investment. Their only skill is conning you. Move along, swiftly. Do some research before investing in something. If the returns being promised sound too good to be true, it’s probably a scam. Also, check out the Bad List at badbitcoin.org. If it’s listed here it’s definitely suspicious and almost certainly a scam. Although this is not related to criminal activity, it’s important to be aware that Bitcoin and other cryptocurrencies are exceptionally volatile. Price fluctuations can be violent and it’s important that you don’t risk inappropriate amounts of money (more than you can afford to lose). Read our blog posts on dollar cost averaging and runaway markets for more information. Keep in mind that during violent market movements, misinformation may be spread in the news and cryptocurrency service providers may experience service disruptions. You may not always be able to sell your cryptocurrency at a moment’s notice. Being aware of scams can keep your Bitcoin safe and sound.